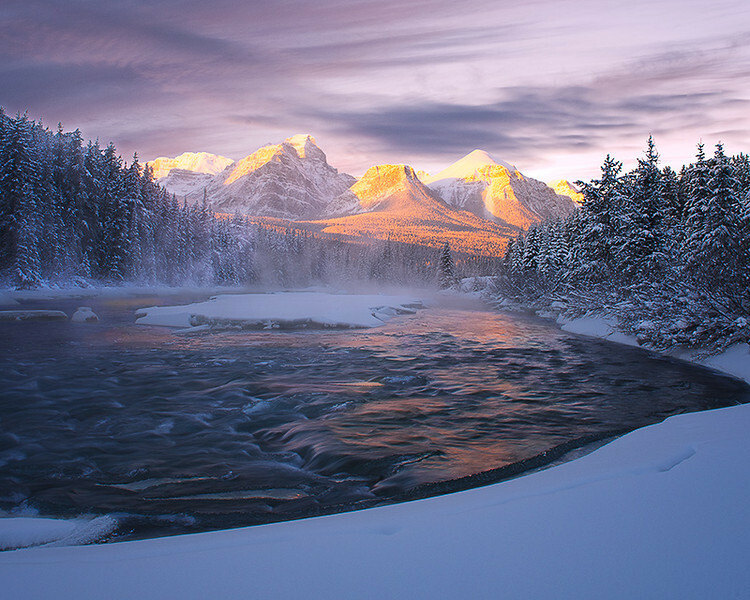 On the morning of my birthday that I made this image, with temperatures hovering at -30C, I crawled out of my sleeping bag long before first light, quickly dressed and drove to a special spot on the Bow River not far from Banff, Alberta. A short hike down a hill, a walk along a railroad line and then down another hill led me to a frozen ice flow floating on the river. I set up my tripod and camera, made an image by the moonlight, and then an hour and a half later, with the sun casting its first light on the mountains, I made this one.